Rice and Rasi (by the name food processed from cassava in indonesia) of course differs in but it’s the function is same, as staple food. Rice made from rice material, while Rasi from cassava material. If Rice consumed by some of Indonesia publics, while Rasi only consumed by a few people in Kampung Cirendeu, Leuwigajah, Cimahi Town, West Java. 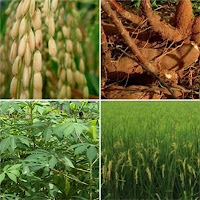 When during Rice new order becomes favorite as component of staple food, many member of certain publics - as in Papua with habit eats corms, Gunung Kidul eats tiwul and other - changes over to rice. Hence, at that time, recognized term people or member remain to is told is poor if has not eaten rice. But, member of public Kampung Cirendeu non imbued with of the mention, they remain to maintains habit which they to inherit hereditary, eats Rasi. And, the tradition had been acted the kampong ancestor since a period of colonization of Dutch 1918. But happened change of term from initial Sanguen becomes Rasi. The story, by 1924 the doyens Kampung Cirendeu assess name of Sanguen doesn't be national, hence changed to to become Rasi. Actually, the the kampong ancestors doesn't refuse rice, but they have history which do not benefit with morning crop. At one time, in colonization epoch of Dutch, area of rice field which has been cultivated abrupt paddy to run dry. very Difficult rice supply at that time and member of kampong started looks for way out from this problem, by changing rice field to become cassava garden area. And, since then public Cirendeu familiarizes consumes cassava.